HB0297 - K-3 reading assessment and intervention program mandates that each school district select and implement a reading assessment and intervention program that screens for signs of dyslexia and other reading difficulties as early as possible in kindergarten through third grade. Districts will be required to implement "with fidelity an evidence-based intervention program." 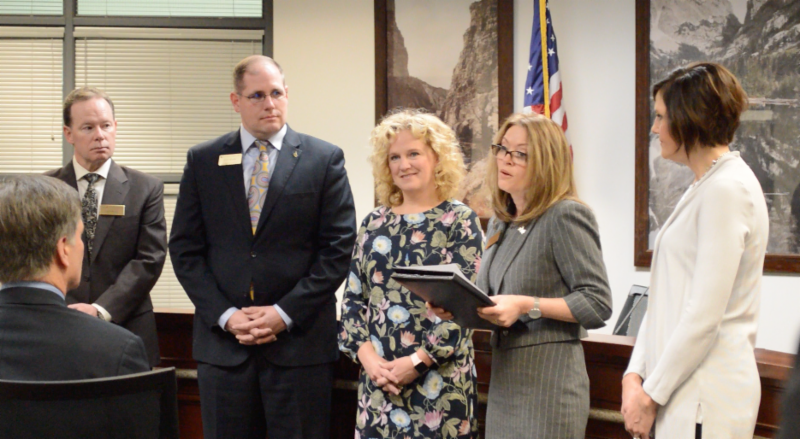 Each district will report to the Wyoming Department of Education annually on the progress toward each of its schools achieving the goal of 85% of students reading at grade level when they complete third grade. Legislators and collaborators celebrate the signing of House Bill 297. 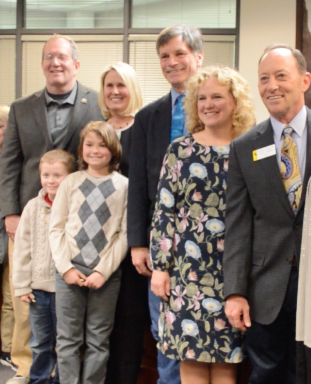 Pictured from right: Senator Bill Landen, Superintendent of Public Instruction Jillian Balow, Heather Fleming, Speaker of the House, Steve Harshman and Governor Mark Gordon at the signing of House Bill 297. Pictured: Superintendent of Public Instruction, Jillian Balow (center) with community college leaders at the signing of Senate File 109. 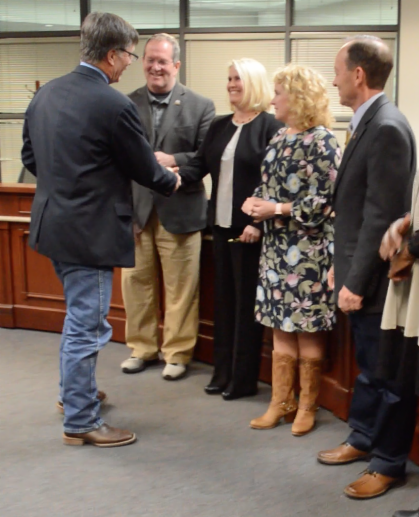 Wyoming's community colleges will work with the University of Wyoming, the Superintendent of Public Instruction and ENDOW to strategize education for Wyoming's future workforce. 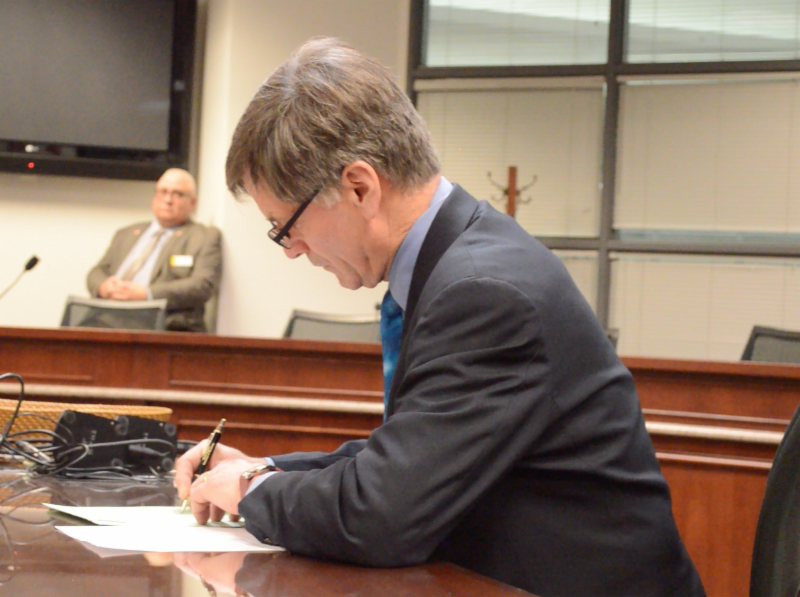 Per Senate File 109 , the Education Attainment Executive Council will develop both a five and ten-year plan to meet the needs of Wyoming's businesses and to reach educational attainment goals. By 2040, 82% of Wyoming's working population, aged 25-64, will possess a valuable postsecondary certificate or degree. "The credit for this bill goes to many, and I couldn’t even begin to thank everyone," says Superintendent of Public Instruction, Jillian Balow "But," Balow continues, "it’s really great that we have community colleges, UW and K-12 educators represented up here because that’s what post-secondary attainment is all about. The collaboration that we’ve formed informally, then through Executive Order and now codified by the Legislature is one that states work for years to achieve. We did it in a little over a year. It's wonderful work that we’ve done and wonderful work ahead of us. I’m really excited to continue collaboration with these folks." 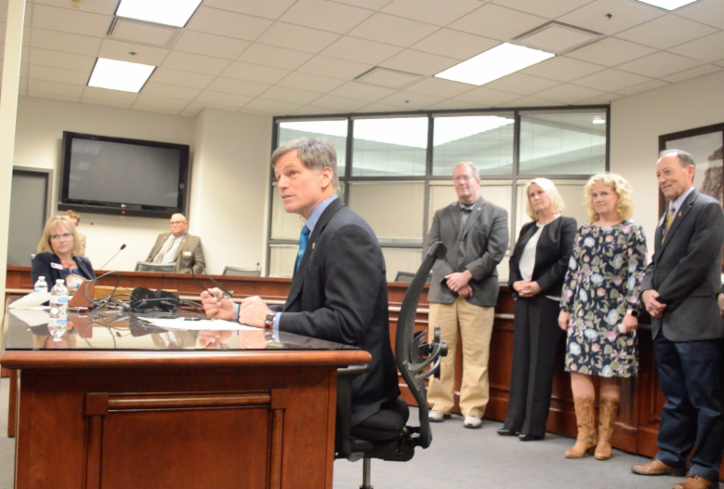 This is the final daily Legislative Update from the 2019 Session. 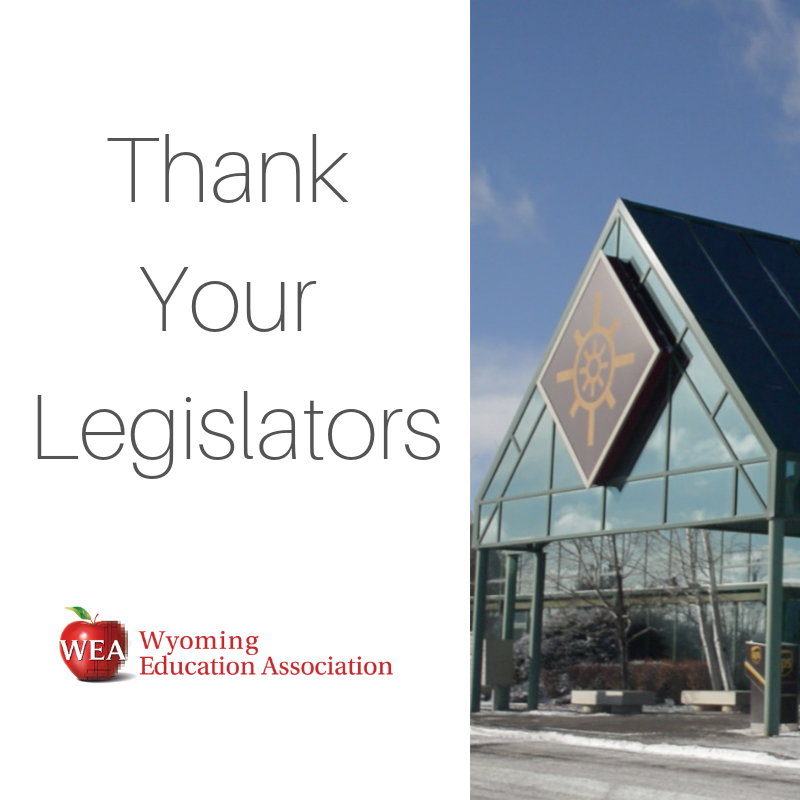 Thank you for trusting the Wyoming Education Association to act as your voice at the legislature. Look for a full legislative summary and analysis in the upcoming edition of WEA News Magazine.